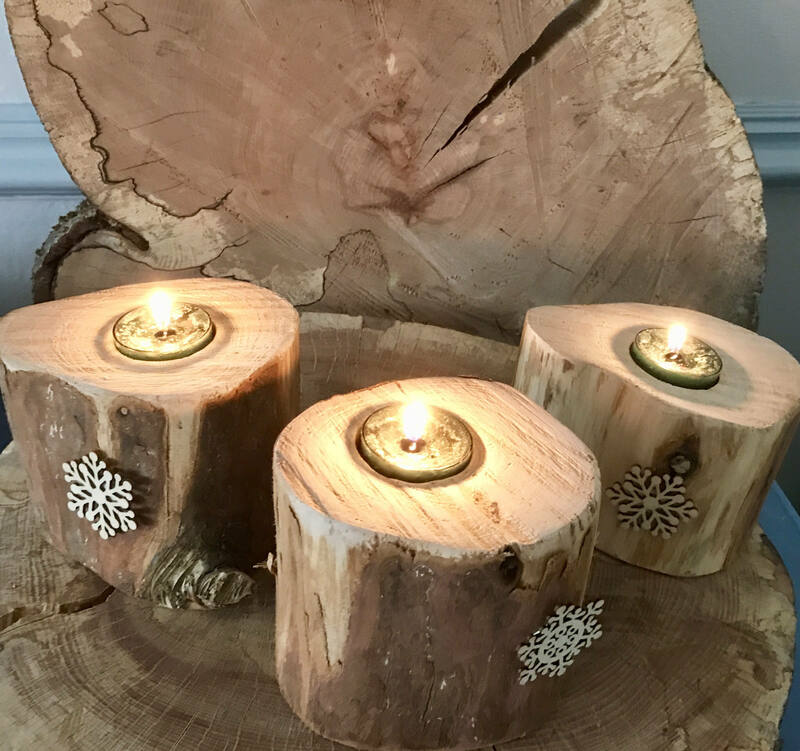 These reclaimed wooden Christmas Candle Holders, come in a set of three. 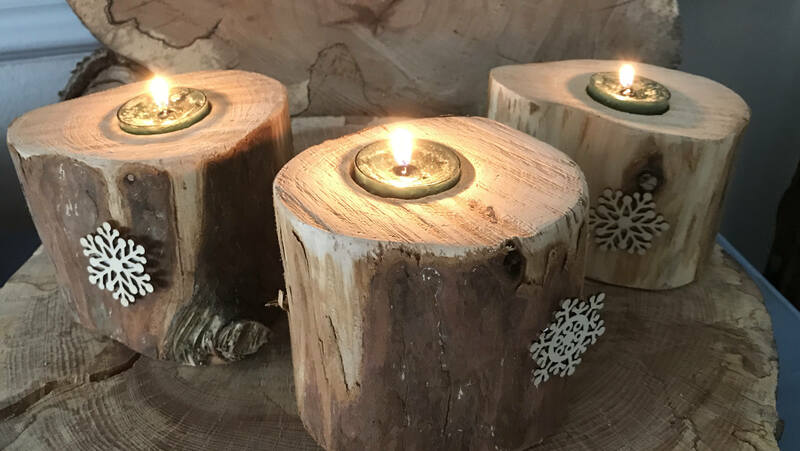 They wood has been reclaimed from overgrown garden trees, carefully sawn, handsanded and treated with some oil for protection. 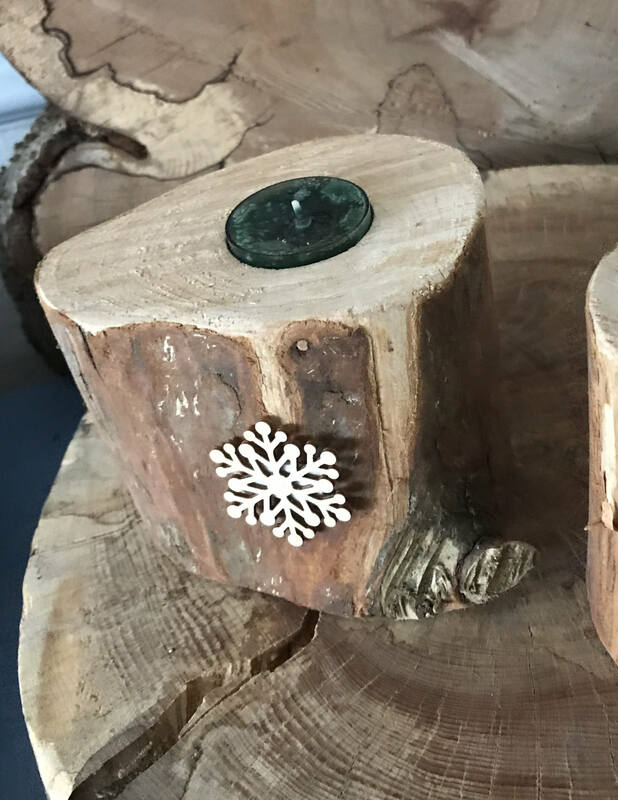 They have had Christmas embellishments added ( easily removed so they can be used all year round) but made an ideal ethical Christmas gift, or a lovely Christmas Centrepiece. 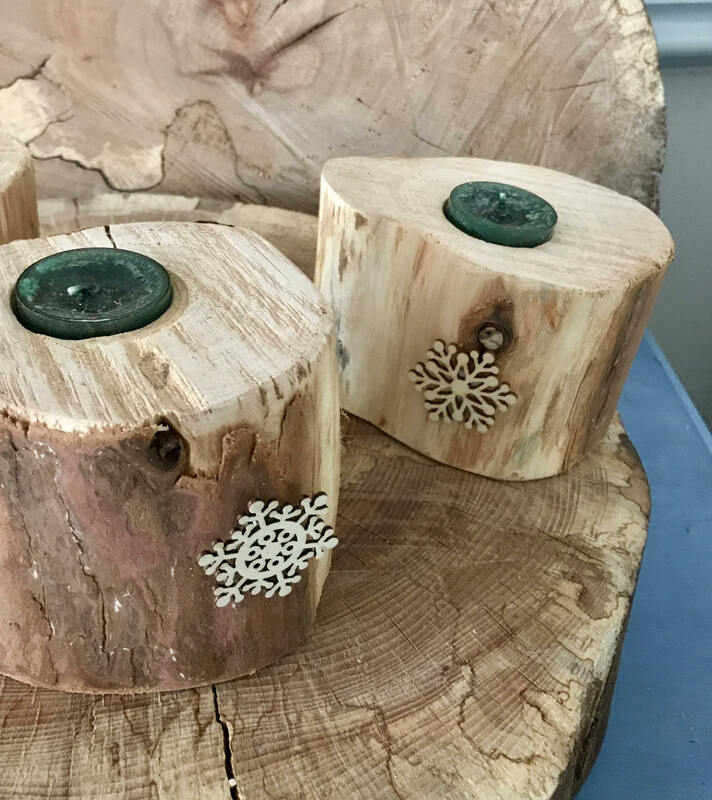 Each candle is approx 4 inches tall and 4 inches wide, although due to the nature of the wood, they are all irregular and no set will be identical, however they will be very similar. You can rest assured these gifts are one of a kind, and no two gifts will ever be the same. 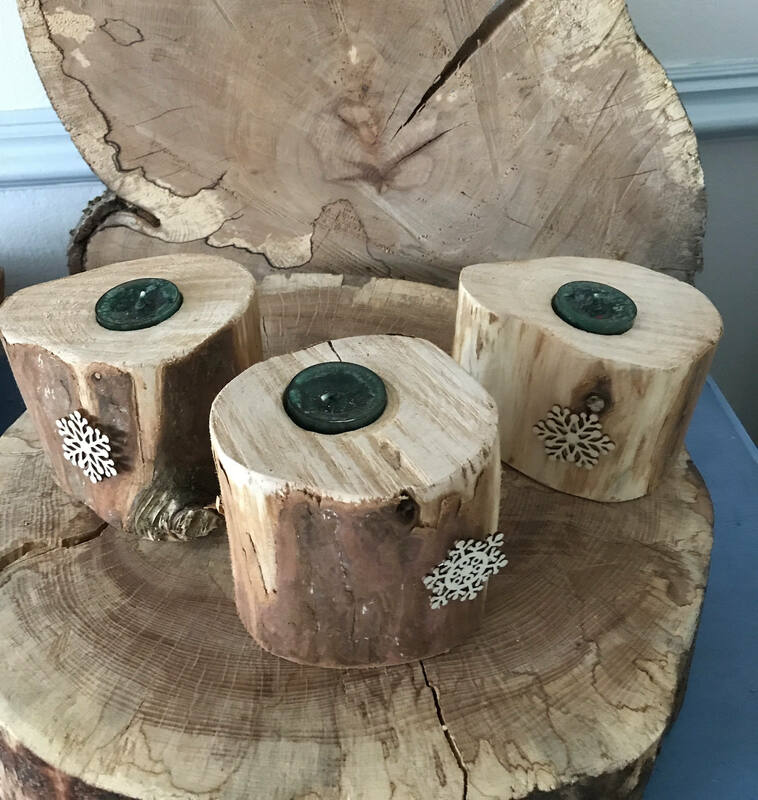 Where would you imagine these sitting within your own home? 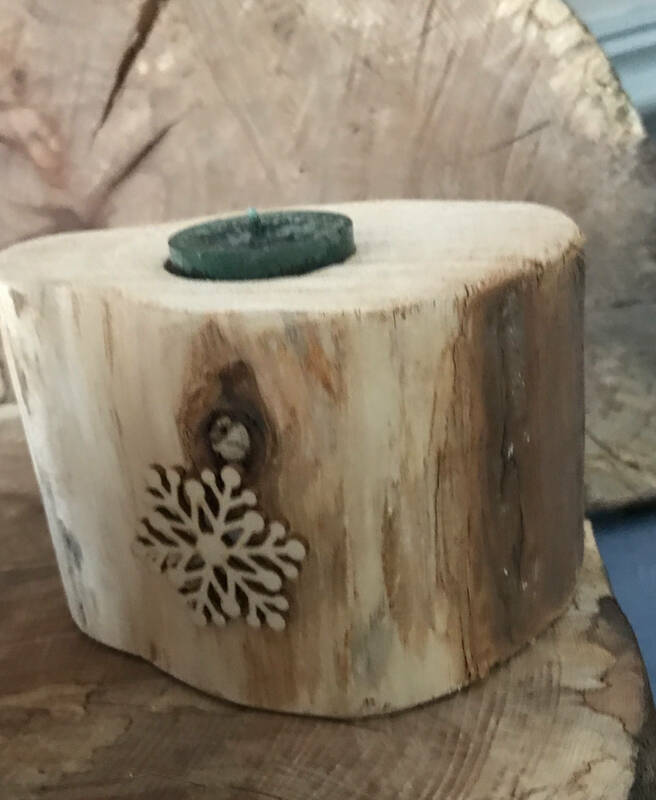 Or who would really appreciate this ethical, eco friendly, and one of a kind gift.